Discussion in 'Fish and Invertebrates' started by inspirestudioca, Aug 6, 2017. 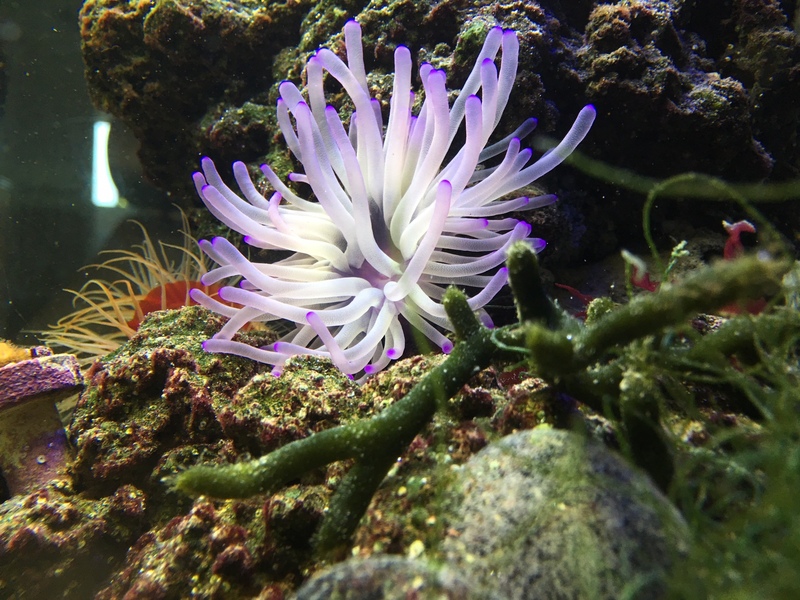 Hi everyone i just brought this purple tips anemone about 2 months ago . Everything are good, but just turn brown in these two months.also everything are also good, any happen ? How to make it true nice white and purple again? Now actually is ugly,Thanks! Lower nitrates and don't feed it as much. Most people overfeed their anemones. They actually get all the calories they need from photosyntheis, capturing food is just for nutrients to grow. Incidental fish food or microfauna like copepods generally provide enough to sustain anemones. thanks your replay , but my nitrates under 5ppm also i doesn't feed them to much. The brown is the natural base color for the 'nem there so it's in good shape. The white that you saw before was in its bleached state. inspirestudioca and Vhuang168 like this. 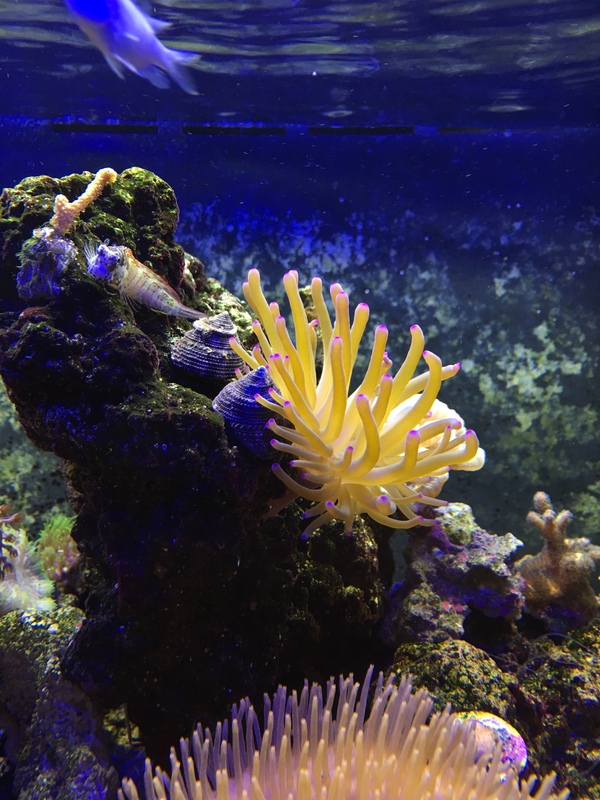 I think the brown is the color of the zooxantheale, maybe being extra brown means it has lots of light, enabling it to multiply within the anemone? In anycase, I think darker anemones are healtheir than the bleached whitish color ... from my experience with BTAs anyway.